Apple's AirPods have gone from an iffy product questioned by even the company's most loyal followers, to a certifiable cultural hit. Like the original EarPods, with their distinctive white earpieces and cable, the AirPods signal your status as a card-carrying member of the Apple elite. Of course, the AirPods wouldn't have reached such a level if they were just poorly built wireless earbuds with a slick marketing campaign. The AirPods are as comfortable as the classic EarPods and pack quality audio performance. And, unlike other wireless earbuds on the market, Apple's (AAPL) earbuds are incredibly easy to pair with your devices. Now more than two years after debuting the original AirPods, Apple is rolling out the second-generation of the wildly popular gadget. 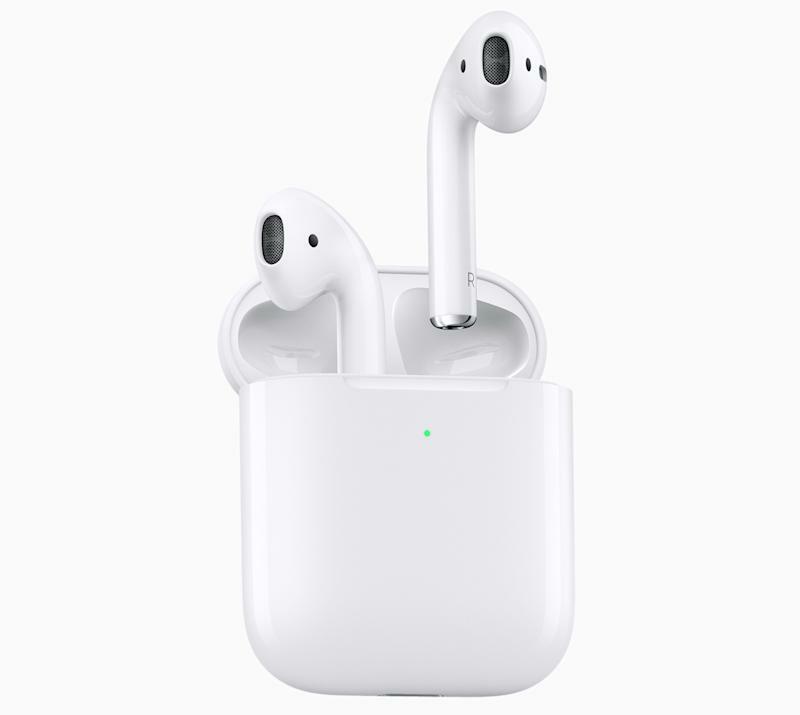 Available for $159, the same price as the originals, or $199 with a wireless charging case, the new AirPods provide improved battery life, wireless charging and hands-free "Hey, Siri," so you can call out to the personal assistant without having to tap your earpiece. If you don't have a pair of AirPods, now is the time to pick them up. But if you've got a pair already, you might want to hold on to them a bit longer. While new improvements make the AirPods a sweeter purchase, it's not quite enough to warrant the upgrade. How will people know I've got the new hotness?! Pulling out an AirPods case and popping in the tiny earpieces has become a way to casually show off that you're riding high. They're every bit the status symbol of an expensive handbag or a slick new pair of sneakers. 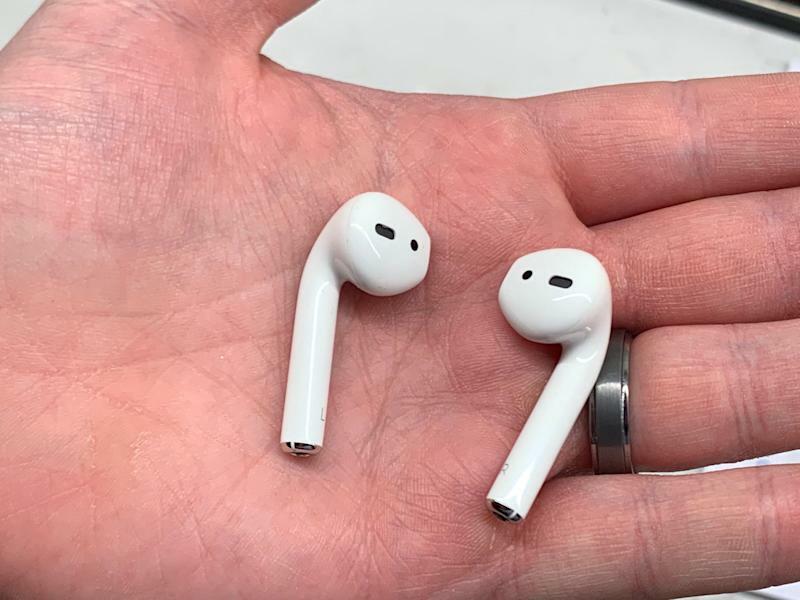 But the second-generation AirPods look just like the originals, which means there's no way innocent bystanders will know you're "flexin" on them. 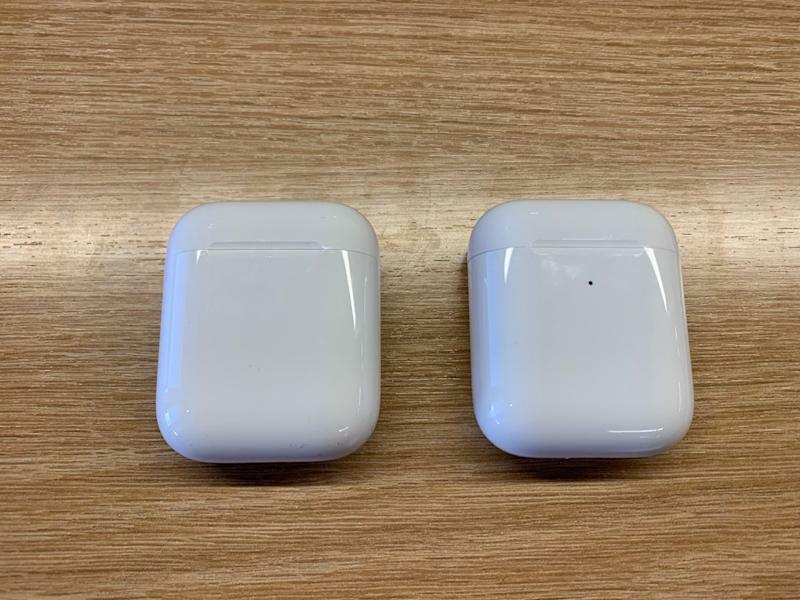 The only visible difference between the first-generation AirPods and the new second-gen edition is the wireless charging case, which has a green charging light on the outside. That is probably my favorite addition to the set, since it lets you know they're charging. The standard charging case has a light on the inside, which doesn't really give you any indication the earpieces are charging until you open up the case. The AirPods’ wireless charging case, however, needs a wireless charger to be worthwhile. And since Apple officially cancelled its much-hyped AirPower wireless charging pad that was supposed to charge your iPhone, AirPods, and Apple Watch at the same time, you'll have to instead opt for a third-party, Qi-compatible wireless charging pad. Wireless charging is certainly useful in that it lets you toss your AirPods on a pad and not worry about tangled charging cables, but it's unlikely to be a major selling point for most consumers. And when you can get the second-generation AirPods with a standard charging case for $159, it's not quite a necessity. If you've already got a wireless charging base, or were thinking of buying one for your iPhone already, though, the charging case is worth it. The biggest update to the AirPods is Apple's new H1 headphone chip. Apple says the chip allows for a multitude of improvements to the headset including hands-free "Hey, Siri" functionality, faster device switching and improved connectivity. The hands-free "Hey, Siri" feature is certainly welcome, since it lets you control the headset and your music without having to tap an AirPod to activate the digital assistant. But I'm admittedly too self-conscious to say "Hey, Siri" in public with people around. That's why I only tested it when I was walking home late at night without another soul within a 4-block radius. The original AirPods had an occasional problem, which caused the connection between them and my smartphone to drop unexpectedly, only to pick back up again a second or two later. But I haven't noticed the same issue with the new AirPods yet. That's supposed to be from the H1 chip, but I've also had my first-generation AirPods for months, and the new version for a little more than a week, so it's not exactly an equal sample size. I have, however, noticed that the new AirPods offer an improved calling experience versus my originals. 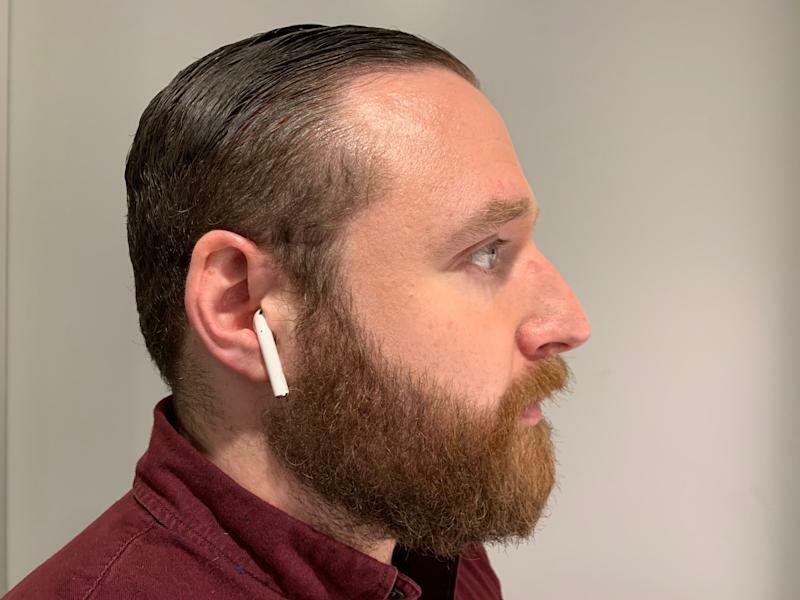 There were a number of times when I would call people with the original AirPods while walking outside only for the person on the other end of the line to tell me they couldn't hear me. That hasn't been the case with the second-generation AirPods, though. I haven't had one complaint from my friends or family during calls, except for the fact that I called them in the first place. Outside of that, the audio quality has been solid all around. As for listening to music, the AirPods sound more or less the same as the original version. For fans of pricy, noise-cancelling headphones, Apple's AirPods are unlikely to cut it. But the company has never marketed the earbuds as the end-all-be-all of headsets, either. For everyone else, these little buds sound great. Apple's AirPods are the sleekest, easiest to set up wireless earbuds I've ever used. I've recommended them to friends and family alike, and the product's second-generation is every bit as fantastic as the first. That said, if you already own a pair of AirPods, there's not much reason to upgrade. Even if you're mostly interested in the wireless charging case, you can keep your old earbuds and buy the case on its own for $79. For Apple users who have been on the fence about dropping $159 on the AirPods, now is the time to take the leap.